Each district in San Francisco has its own characteristics and charm. The Mission District, located in the central east part of San Francisco, stands out from the rest due to the history and Hispanic roots. Walking its streets, you’ll find tasty taquerias, festive bars, inspiring art murals, unique boutiques, and even a beautiful park that overlooks the city. Over the years there have been so many new restaurants and boutiques come and go, that it's hard to keep up. However, the dependable spots are what will keep you coming back for more. 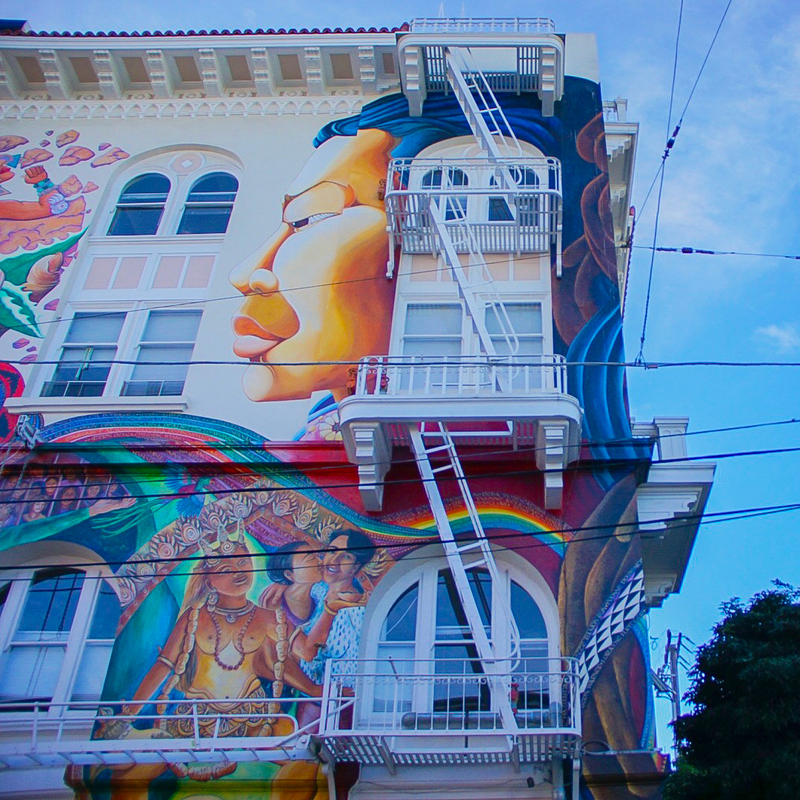 The art in The Mission varies from political to cultural. Around every corner, you need to keep your eyes peeled for another mural. There’s one particular alley worth stopping to admire called Clarion Alley. There are a few popular pieces that haven’t changed in a very long time while other pieces come and go. The Women’s Building is fully decorated with beautiful art of women from different generations. 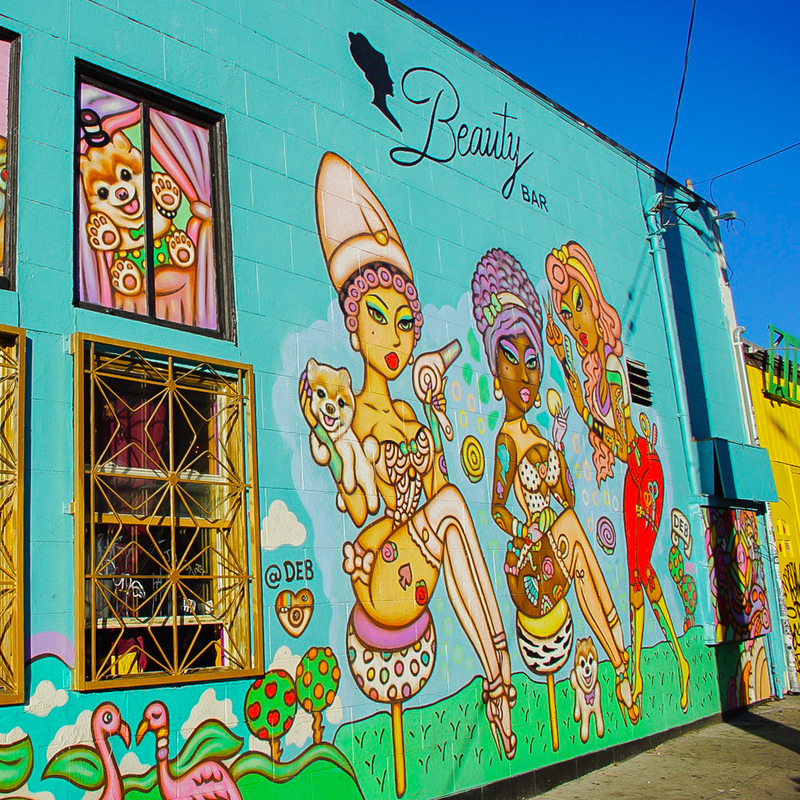 Two other memorable murals are the painted girls on the side of the Beauty Bar and the portrait mural of Carlos Santana. The nightlife culture is my favorite part of The Mission. With so many restaurants and bars to try, it's hard to narrow down your choices. My favorites so far to eat at are Cha Cha Cha, El Farolito, Picaro Tapas, Taqueria Cancun, and Media Noche. My favorite places to grab a drink are at El Techo, Lolinda, Zeitgeist, Teeth, and Beauty Bar. For dancing, the best places to go include Double Dutch, Skylark, Delirium, and Blondie’s Bar. Shopping can be a fun to pass time in The Mission. 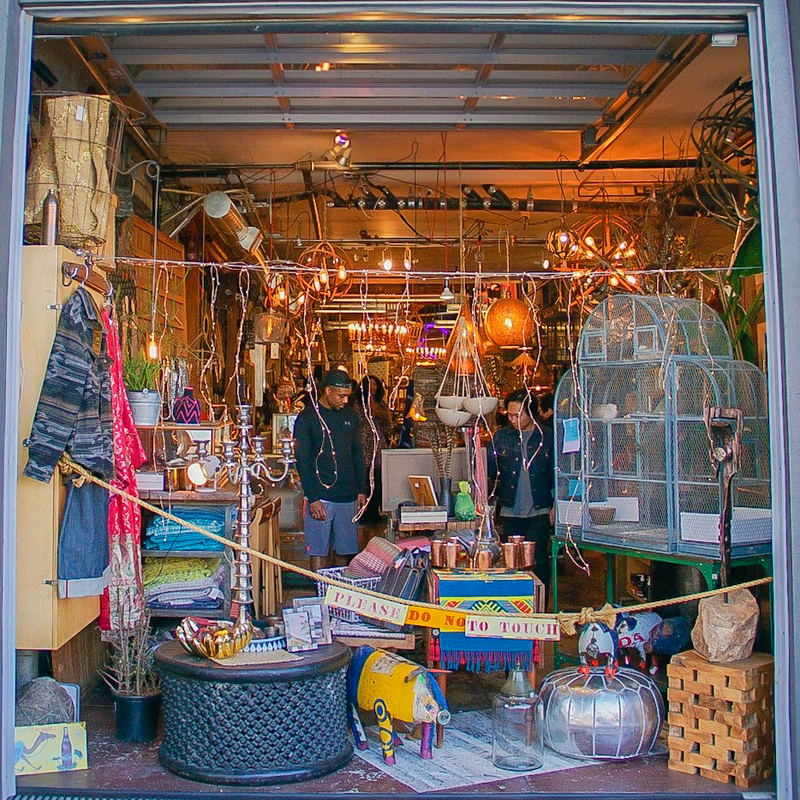 From quirky stores to the high-end private-owned boutiques, each store caters to a different style. Then there are the fun thrift stores where you can find hidden gems. Reformation is one of the newest boutiques with price tags on the higher end. 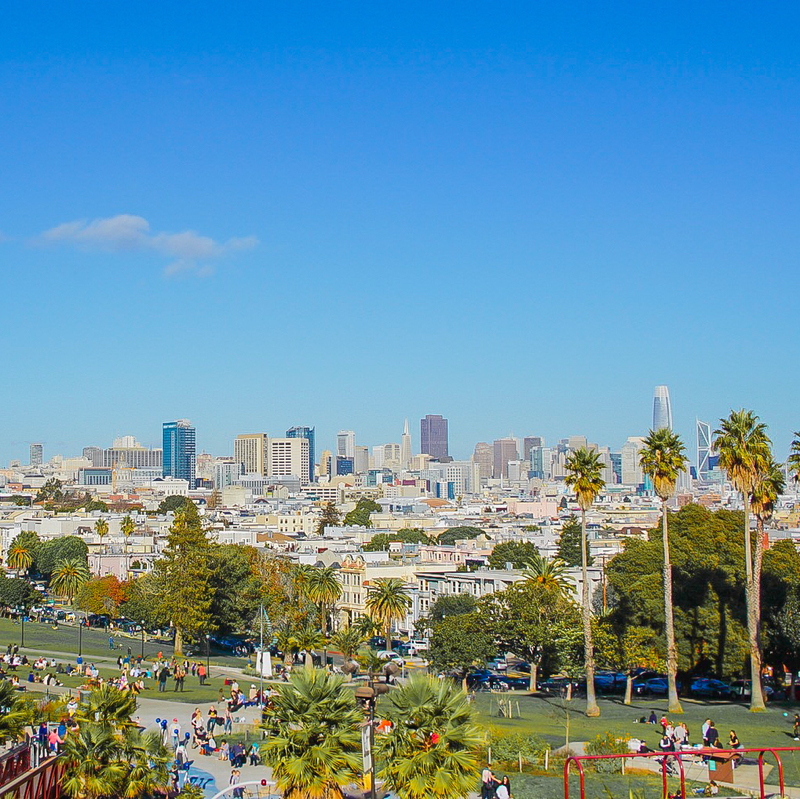 Mission Dolores Park is a must-see experience any time the sun is out. This park is like no other I’ve ever seen. This two-hill green space is a sunbathing hot spot in summer weather. It's the perfect place to meet friends, sit on a blanket, have a picnic, and enjoy the incredible view. San Francisco is lax about drinking in public so don’t be surprised to see day-drinkers around. In fact, people walk around selling alcoholic drinks. You can also grab an ice cream cone from Bi-Rite Creamery and enjoy the view. Raquel Avalos is a Mexican-American blogger with a focus on fashion, travel, and photography. You can follow her adventures in San Francisco and around the world on Instagram as well as on her blog!